All of the pieces are falling in place for the imminent launch of the second book in my Black Flagged series, Black Flagged Redux. The editing process is finally complete, a few extra chapters have been added at the request of my editor, ebook formatting is in progress and I just returned from an exhausting research trip to Europe. Actually, it was a family vacation, but I did get to visit a street address that is very important to Black Flagged Redux. More on that in another post, along with pictures. One of the final pieces fell into place while I was on vacation. Despite the fact that I had written more than 120,000 words to create the novel…and likely rewrote most of them at some point…I never feel like the book is real until the cover is finished. I feel like a child waiting for a toy to arrive in the mail…but in this case, I kept checking my email. 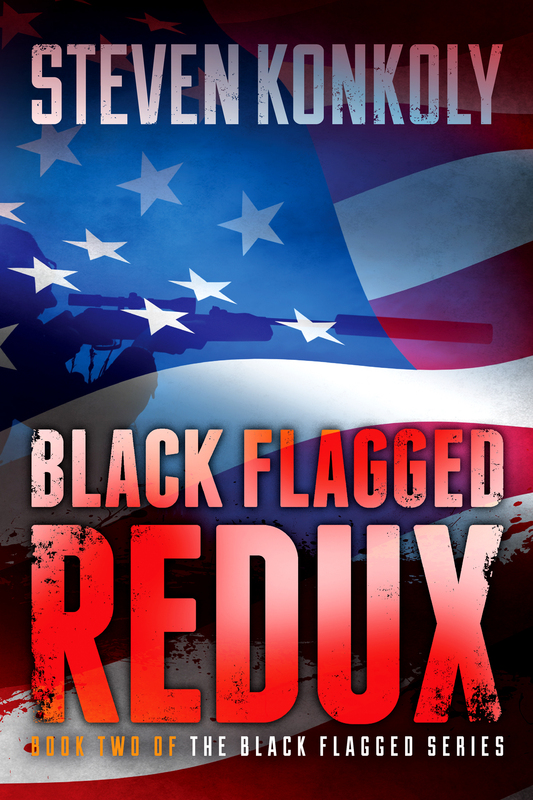 Once the file arrived…Black Flagged Redux was done! Check out the cover Jeroen ten Berge created. It’s a brilliant continuation of the themes present in the first cover. Give me one more week to pull it all together! Can’t wait to read it!! Great cover! Thanks, Lance. It’s coming. Just fell a little behind and added some features. This book will have active, imbedded links and a “live” table of contents. May 12th.